If there's one thing that we all love it's a real deal and with Barbados duty free shopping you can get some fantastic bargains. Barbados is well known for duty free shopping so if you've been looking for, designer clothing, cameras, china, crystal, perfume, watches or brand name jewelery, why not go on a duty free shopping spree. Now you're on you're Barbados vacation you have the opportunity to do your duty free shopping and buy items at a savings of up to as much as 50% less than in North America or Europe. 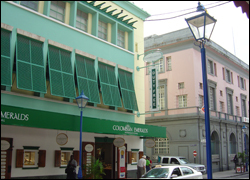 The quality tax free merchandise and excellent service in air conditioned comfort makes your Barbados shopping a real pleasure when you visit any of the many duty free stores in and out of Bridgetown. It's nice to stop in and look around even if you have no intention of making a purchase just look around and do some window shopping and cool off. If you're staying on the West Coast there are lots of duty free stores in Holetown and Speightstown where you can do your Barbados shopping so you don't have to travel to busy Bridgetown the capital to shop. 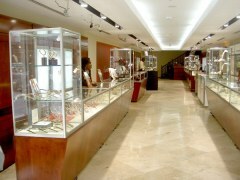 There are many other stores and shopping areas scattered island wide. When buying duty free goods you'll have to show your passport or ticket to get the duty free price. You can take your purchase with you or for your convenience have the item delivered to your port of departure to be picked up when leaving the island. It's not a bad idea to have your passport and ticket with you whenever you're going to town because you never know when you might run across a duty free item that is a real steal and you've just got to have it. There are some things that cannot be bought duty free unfortunately, such as liquor and wine, cigars and cigarettes, except on departure. 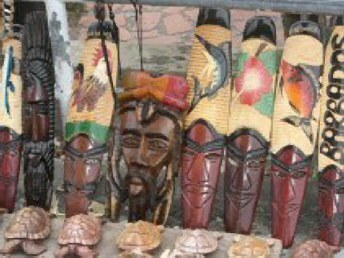 If you're looking for locally made crafts or souvenirs to take back home as a reminder of your Barbados vacation the best place to go is Pelican Craft Centre it's easy to find as it's located on the outer edge of Bridgetown by the Bridgetown port. The first time I ever saw someone making a steel pan (to play calypso music) out of an oil drum top was here about thirty years ago. There are a lot of handicraft shops here and you can even watch the craftsmen working on the items in their shops. Some of the things produced here are, leather items such as sandals, batik, pottery, wood carvings, straw hats and bags and you can even buy real Barbados rum cakes here. The Pelican Craft Centre is a lovely place to visit and a great place to do your Barbados shopping, you can get some unique one of a kind hand made pieces here at great prices. If you want a bite to eat or a drink, there are places here where you can relax and have a meal. 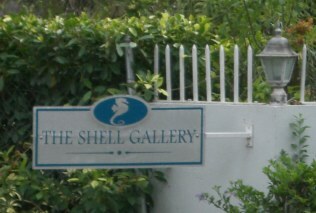 Just down the road from my vacation apartments is a lovely little place called The Shell Gallery. The owner Maureen Edghill makes all sorts of artistic creations out of sea shells from around the world. On display are beautiful gift items such as mirrors, lamps, straw baskets, batik, pottery and wooden articles. If you want a unique reminder of Barbados this is a must see shop.